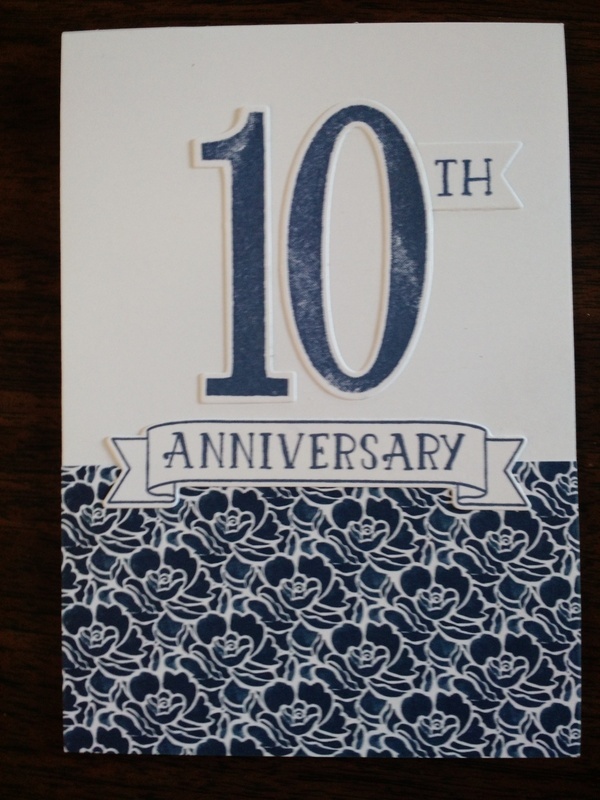 Celebrating my 10 year Anniversary as a Stampin' Up! Demonstrator! Look at this lovely Anniversary card I received from my upline Jessica Taylor. She used the the beautiful Floral Boutique Designer Series Paper (141663) and the Number of Years stamp set (140653). 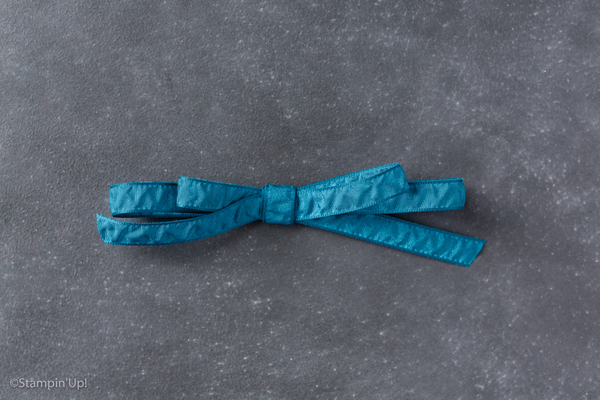 Would you like to win a roll of Dapper Denim Roched Ribbon? Leave an anniversary wish in the comment section to be elegible!